Nutritional and herbal supplements are big business in Australia – with around 500 million dollars being spent each year. Consumers think they are being healthy and helping their bodies, by taking different supplements however sometimes it is a waste of money. Unfortunately many of the companies that make these products are out to increase their profits and don’t think about the consumer. They use the cheapest form of the nutrient or herb which is often the most poorly absorbed. Consumers take these products thinking they are helping themselves but they are just creating expensive poop or urine. For example – most zinc supplements on the market are in the form of zinc oxide or zinc sulphate, which is poorly absorbed. Zinc gluconate and zinc citrate are much better absorbed forms, but are more expensive to produce. Another example, is Echinacea. The root needs to be harvested to ensure it is an effective product, however many tablets on the shelf use the flower’s petals which are no where near as potent. It is more expensive to use the root, as the whole plant needs to be harvested. A handy hint – if it doesn’t say it uses the root on the label (or rhizome – the technical name) then it is not using the root. Another thing to be aware of is the levels of a nutrient within a supplement. With minerals, more isn’t necessarily better – many manufacturers put very high levels in their tablets but use a poorly absorbed form, so you think you are getting more, but you are not actually absorbing it. For something like fish oil, the capsules are often low dose and make little difference to the body. The manufacturers fill them up with another oil, which has little if no therapeutic value. 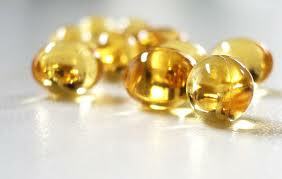 Consider an average fish oil capsule is 1g, of which 180mg is EPA and 120mg is DHA (the forms of omega 3 fatty acids). What is the remaining 700mg in the capsule? Naturopathic high dose fish oil often has 400mg of EPA and 200mg of DHA leaving a much smaller amount of non-therapeutic filler oil in the capsule. One final thing to consider is that some nutrients interact with each other and compete for absorption. For example you should not take calcium and iron together. So you can see, this can be quite a complicated area to contemplate. The worst thing is, the consumer often wastes their money on these sub par supplements and doesn’t feel any better when they take them. Frequently in my clinic I have patients say to me they have tried XYZ nutrients and they don’t work, however when I give them the practitioner supplements I recommend, at the correct dose and frequency, they show rapid improvement. Naturopaths with a bachelor degree are trained for 4 years in the use of nutrients and herbs. Many of my patients also come in with a shopping bag of supplements. I advise them on what to ditch, what to keep taking, and whether the doses are adequate. Armed with that information, they then no longer waste their money on things that don’t work, and they feel better faster. Feel free to make a “tune up” appointment and I can help you out too.